Sea turtle species around the planet are facing extinction. However, in a small village in El Salvador members of the community are taking things into their own hands and collecting turtle eggs to raise them in protected environment before they will be realeased after hatching. 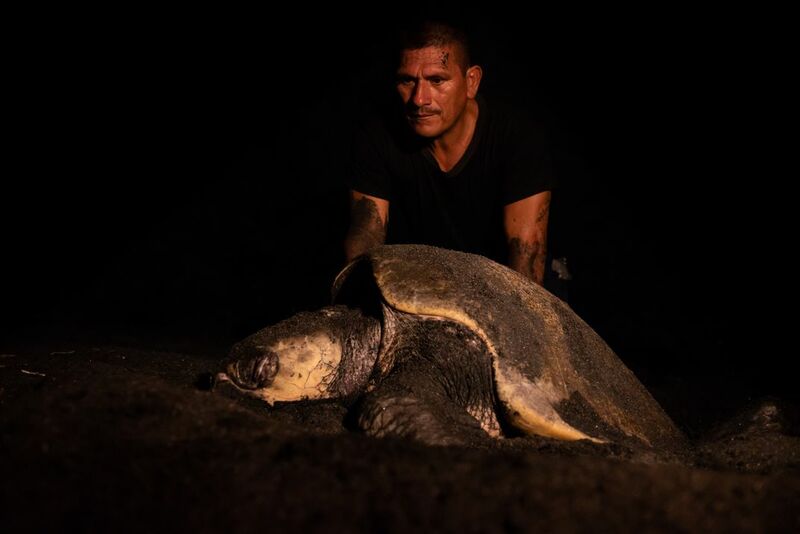 A local wildlife warrior waits patently for the adult olive ridley sea turtle to finish laying its eggs so he can take them to a safe enclosure.